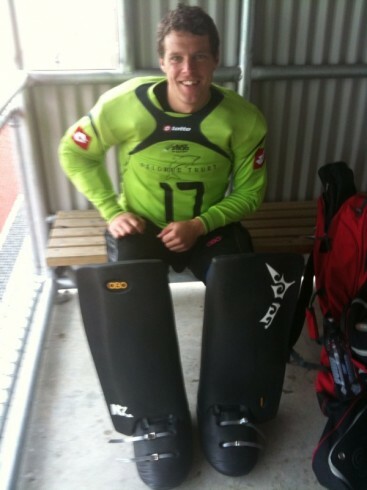 Have you ever wondered what colour combination you should get your next legguards in? 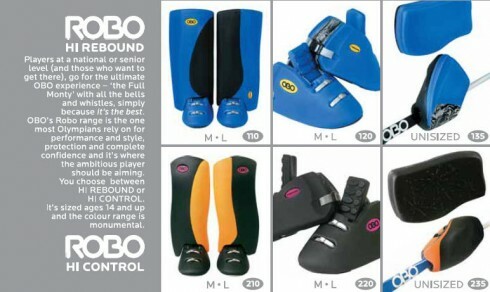 Well here is a list that shows the top 15 OBO ROBO legguard colour combinations sold to date. 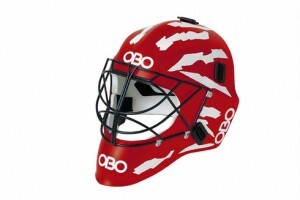 Did you know that OBO offers 45 colour combinations?!? Obviously not every retailer is able to stock all these colours, but you can special order any one of these colour combos through your local OBO retailer. Francesco’s 18 page PDF has been written in Dutch and also translated with some help from Keepers Resources writer Dan Pilgrim and Marjolein Kamstra. 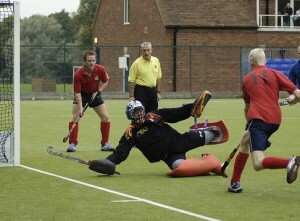 Hi-Rebound range pictured below in blue/black. 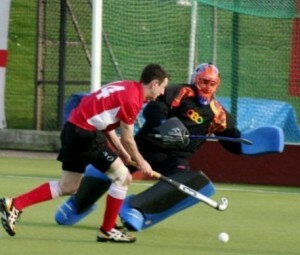 Hi-Control range pictured below in black/orange. Hopefully its helpful so that everyone understands the naming and which kit is being referenced. The amount of energy in a hockey ball is huge… the concussion and face injury danger to goalies if not well equipped is real. 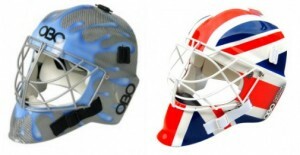 Find out all about the OBO helmets, what speeds each helmet protects to and the lab tests OBO performs. 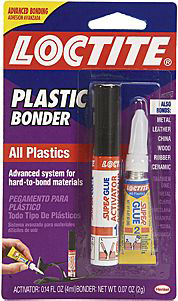 The best … for the best. Strength, design, comfort. No comprimises, no shortcuts. A bit of a no brainer! In 1999 we asked goal keepers where they get injured most? Their heads they told us. The idea of amazing people getting brain injuries sent us screaming to specialists in the Czech Republic and Argentina where they make the most effective and durable helmets in the world. 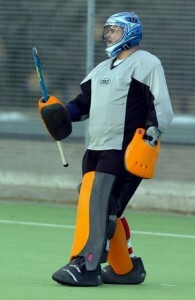 We then worked with them to develop helmets especially suited to field hockey. 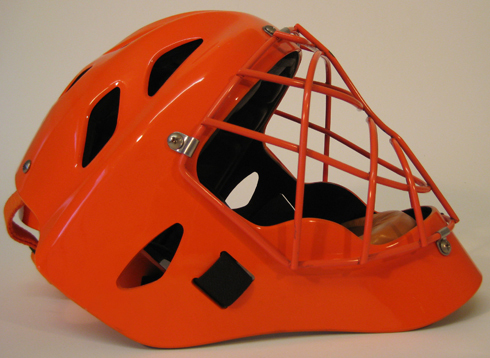 Helmets with an official CE and safety approval, all models impact tested to official safety standards. The F.I.H. 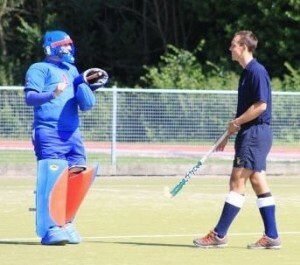 says hockey helmets should be tested, but HOLA! Hold-up! They are not. Go ask our competitors for their test certificates. (Ours is EC type – examination certificate number E-30-01488-02, CE certified in accordance with directive 89/686/EEC, standard reference EN ISO 10256:2003 (replaces EN967:1997), technical body CEN/TC-158, Reference Mkp P004357). Yes, some of our competitors sell cheaper, untested helmets (not quite made of China, but made in China). We could do this too… we don’t because while Obo as a company is all for challenging the rules and taking risks, we draw the line at doing it with our goal keepers brains! What do you think? 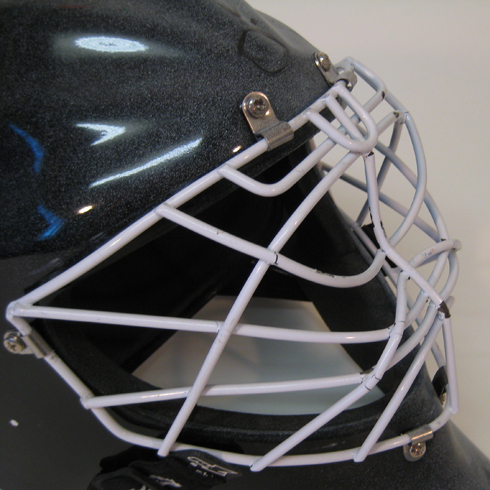 The amount of energy in a hockey ball is huge… the concussion and face injury danger to goalies if not well equipped is real. 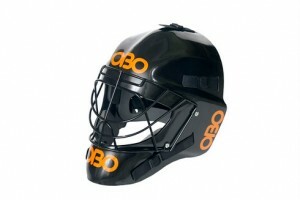 OBO designs a range of goalie helmets designed for different levels of play and different ball speeds. 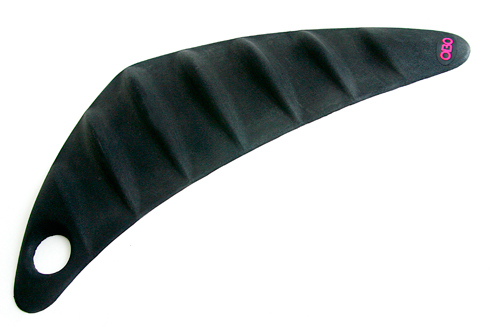 The Poly P (Polypropylene) is designed to provide appropriate protection at balls speeds to 95 kph. 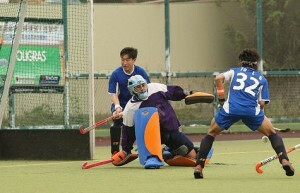 The PE (Polyethylene) is designed to provide appropriate protection at balls speeds to 120 kph. 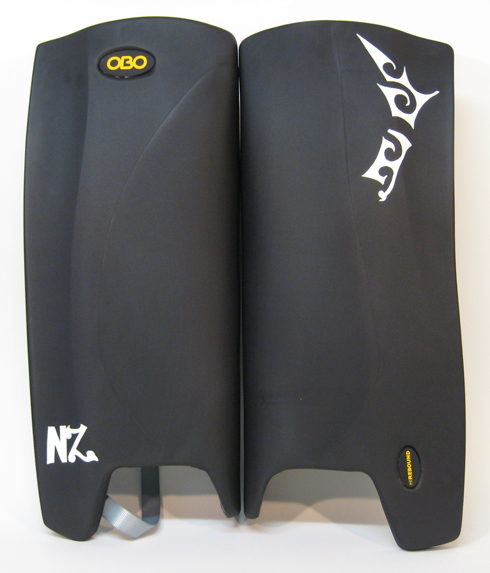 The FG (Fibreglass) or CK (Carbon Kevlar) will protect up to speeds of 160 kph. All the OBO helmets above are safety test approved (the Poly E designed for kids under 13 years and sold only in 3 countries is not a safety tested helmet, however our lab research shows they provide adequate protection for young players.) 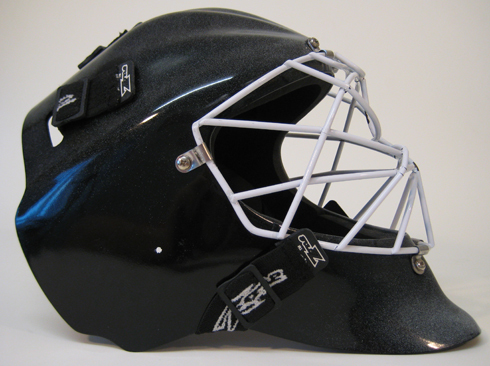 The amount of protection a helmet offers is a combination of the materials used in the main helmet body, the foam liners in the helmet, the cage, and several other design related / shape aspects. Some helmet bodies in helmets sold by other brands break or even shatter. 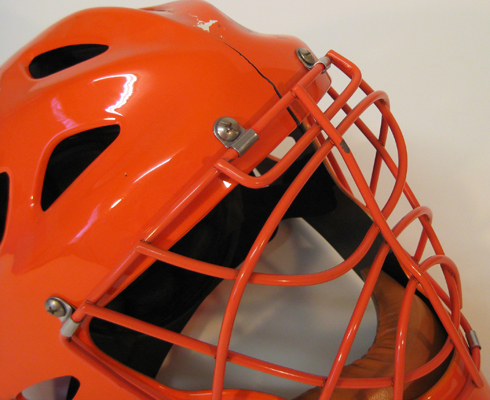 Cages are an integral part of the level of protection a helmet provides. Our cages use the highest quality steels and bend less than others. What do the F.I.H say about Helmets? Balls will be hit at the D’FLECTA, which alter ball directions in both height and width. 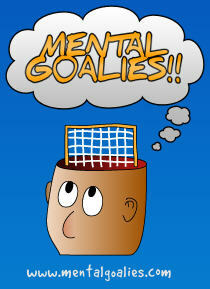 This simulates deflections and helps train reaction times and hand eye coordination of goalkeepers. Fast ball speeds and striker deflections now play a big roll in scoring goals. 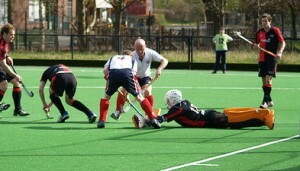 The mat enables a coach, assistant or even parent to simulate deflected shots targeting high or low shots without needing to include the field players in the exercise. 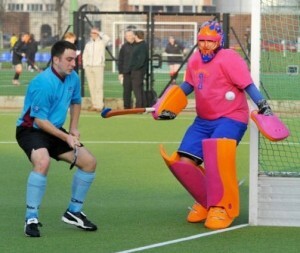 Its also a whole heap of fun for goalkeepers! If not being used the mat can be placed also be used within team drills to simulate defenders who can often deflect the ball. 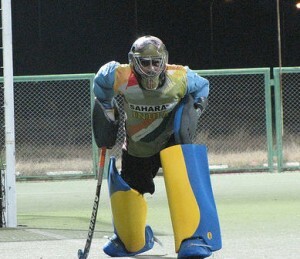 This stick allows a coach, player or parent to flick the ball easily at the goalkeeper. 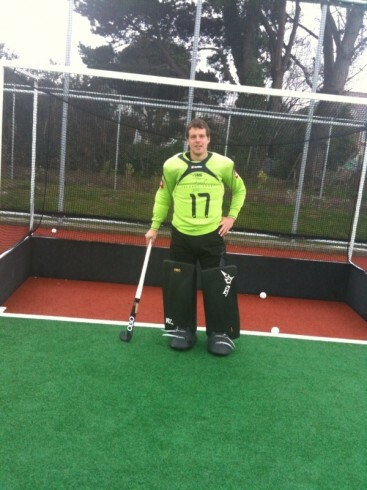 The speed is controlled by the user and can be used softly for beginners using their hands and more power for advanced keepers simulating top level drag flicks. 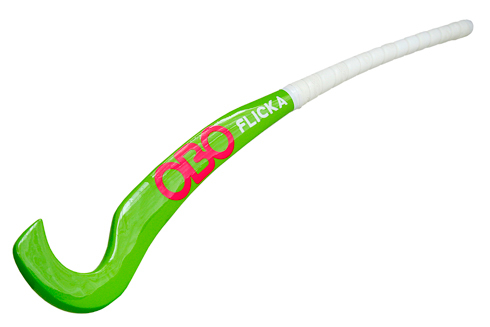 Once mastered the OBO Training FLICKA its really easy to simulating top level drag flicking balls speeds that are accurate and apply less stress to the body. 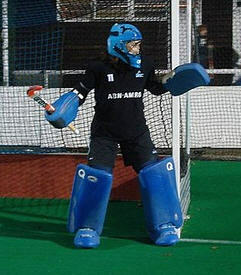 The curve and colour of the stick have been designed to help disguise where the ball is going ensuring the goalkeeper is kept on their toes. 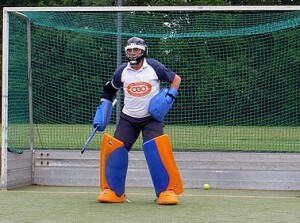 The stick should be used softly for younger goalkeepers who are just learning to use their hands to save aerials or more advanced keepers for repetition training. Its also possible to throw some massive aerials for defenders to practice receiving aerials or just having some fun with mates on tour! The BOBBLA ball will launch on December 1st 2009 and should be available from your local OBO stockist (keep an eye out for pricing details soon!). 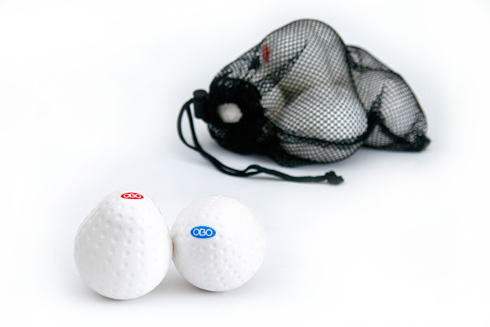 The balls will be available in bags by the dozen… they look like eggs get it! Sorry no more yolking around – for more info check out this post. The OBO Training BOBBLA ball is great for stripping down a goalkeepers kicking technique. 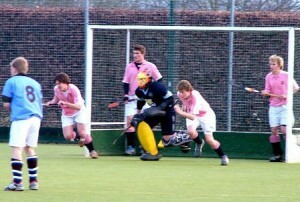 It also encourages the fundamental of getting your body behind the ball and using forward body weight transfer. High density foam technology means that goalkeepers can sometimes get lazy and simply swing their leg to kick the ball and rely on the bounce of the foam and not worry about their body weight distribution. 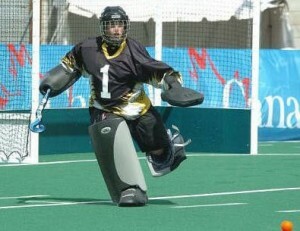 A goalkeeper with good goalkeeping technique will try to keep their head and chest over the ball to stop the ball rising up, and have a follow trough with forward momentum to get a good clearance. The ball has been designed to stay low and sometime bobble/pop up occasionally replicating what may happen in a match situation. This allows a coach to simulate repetition training to build muscle memory and helps to keep reactions sharp for the unexpected bobbles.